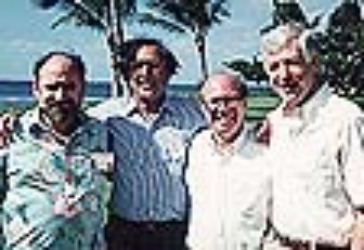 (Pictured far right) Ira Glick, M.D., is a Professor Emeritus of Psychiatry & Behavioral Science - Psychopharmacology at Stanford University. His current research interest is in the area of schizophrenia. Schizophrenia is one of the major public health problems in American medicine. Treatment is partially efficacious but unsatisfactory.